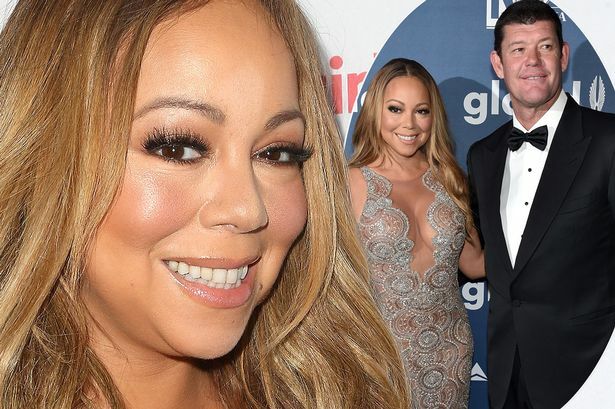 Though Mariah Carey is showing off her "careless" style after she parted ways with James Packer, she says it is difficult for her to talk about her broken relationship with Australian business mogul. The love story between the singer and the billionaire began last year in June and they continued dating each other for almost more than a year. Meanwhile, James during a private dinner in New York proposed her for wedding with presenting a 35-carat diamond ring earlier this year in January. However, the spokesperson for the "Hero" hit-maker in October made it public that the couple had a fight while they were holidaying in Greece in September 2016 on anonymous grounds, and for that reason they have taken a break from each other for some time. Meanwhile, Mariah was spotted in The Ellen DeGeneres Show on November 23, 2016 where Ellen, the host inquired her about how she has been doing throughout her chaotic year. Not to mention, the singer not only parted ways with former fiancé but also got her divorce from ex. husband Nick Cannon finalized in the beginning of November this year. On Ellen's questions about how she was mentally doing, the super star replied saying she thinks she is doing well and she is psychologically fine as well. She insists there is a reason behind everything that happens; and things are moving forward the way they should be. Mariah Carey avoided being delved much deeper into about what relationship status she is running in with James and even didn’t tell Ellen if there's anything positive to come up following their fight in Greece. She insinuated that it was genuinely uncomfortable for her to know that James was involved in Mariah's World which is a 8-episode document-series and will be broadcasted on the E! Network on 4 of December, 2016. Explaining the situation, the singer said it is really hard to discuss about the topic at the moment. It appeared she was willing to save the storytelling for her upcoming show so she changed the subject for dissuading the host to probe any further. She told Ellen she was just going to compliment her for the decorations she was having for her set as those According to Mariah were really fabulous, and she felt very pleased to sit among them. It was also noted that the singer arrived the studio with a festive red dressing gown that she later took away to show off her stunning black outfit she particularly chose for the show. The mother of twins is taking all efforts to keep herself busy as along with the promotions of her upcoming reality show, the singer is going to launch her latest makeup line in the collaboration with MAC Cosmetics. In addition, she will also perform at Unsilent Night which is a new television event and a part of the latest Divas Holiday of VH1. The soulful legend Patti LaBelle is also set to perform with her at the event that will take place in December, 2016.